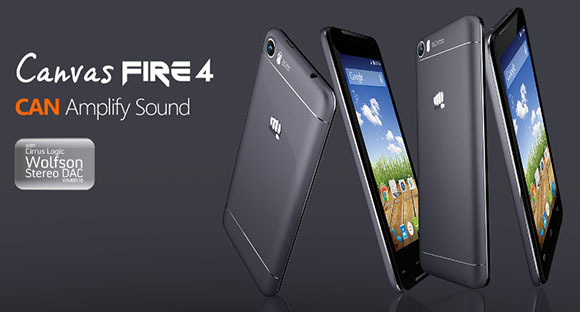 Micromax has launched Canvas Fire 4 in India for $113 (Rs. 6,999). This fourth iteration of Canvas Fire series runs Android 5.0 Lollipop out of the box. 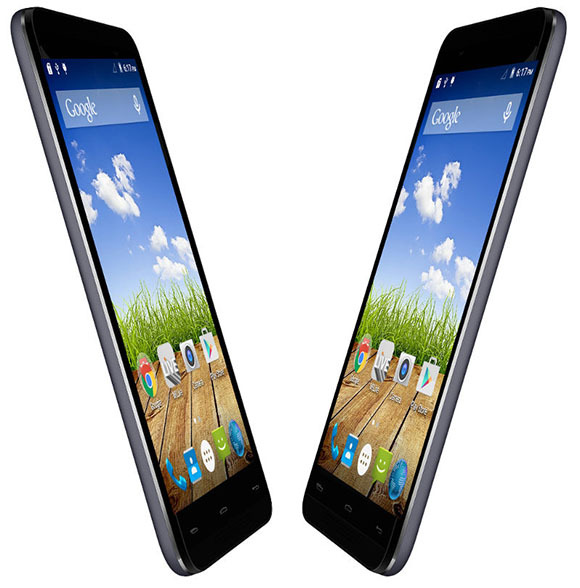 Canvas Fire 4 appears to be an iterative run-of-the-mill smartphone with dual front speakers. These speakers are powered by the Cirrus Logic Wolfson WM8918 audio chipset to deliver high quality audio output. The Canvas Fire 4 runs on an unspecificed quad-core 1.3 GHz mobile processor, 1 GB RAM, 8 GB built-in storage, Wi-Fi, Bluetooth 4.0, GPS, and FM Radio. It offers 8 megapixel rear camera with dual LED flash and a 2 megapixel front-facing camera. With the Dual SIM support, it can hold one 3G HSPA+ SIM and offers a 2000mAh battery. Micromax Canvas Fire 4 will be sold in Black and Silver color options. Worst phone I ordered it for rs.7800. Touch screen running automatically. Very poor battery life while using Internet. Friends go and buy smthing else. It hangs 10 times a day and battery not removable so just throw the mobile.